I have been planning to do this post for the longest time so today I finally decided to sit down and complete this post anyhow. I have been very busy lately with some family affairs and have not been able to spare time for my blog but from now on I will take out atleast 2 hours everyday and post some good quality stuff on my blog. So enough of my ramblings. Let’s get back to the topic. 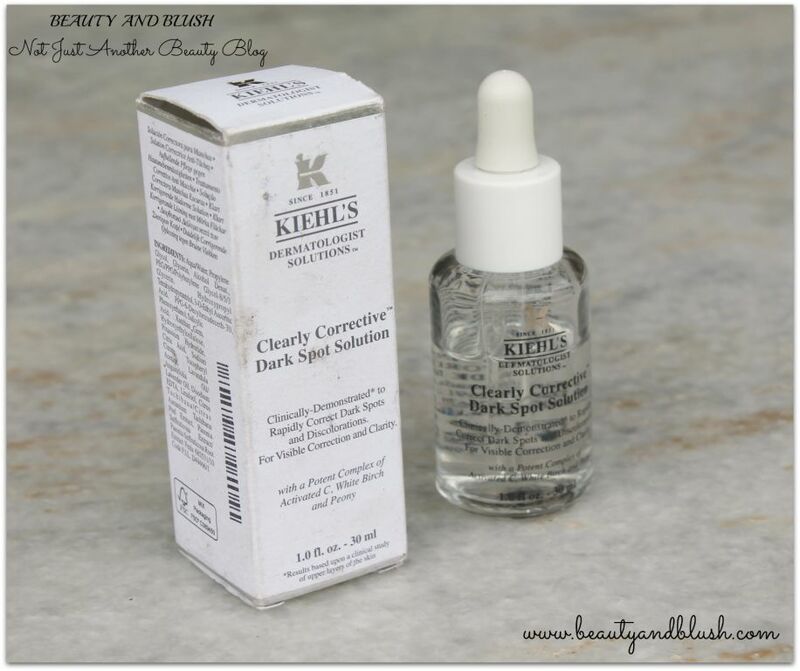 A few months back I purchased the Kiehl’s Clearly Corrective Dark Spot Solution with very high expectations. 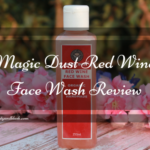 It was the most expensive skincare product that I dared to splurge on so obviously I had high expectations and bloggers and people all over the internet had raved about the product so I decided to give it a shot. 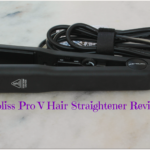 After using it for around one and a half months I did a review of it which you can read HERE. That one and a half month was sort of a testing period and I had decided to do a PART 2 of the review once I finished the product. That entire 30 ml bottle lasted me a good 5 months and I wanted to review it for you guys but I was so busy that it kept getting delayed for months. As I had told u in the Part 1 of the review that I have just a few freckles/sun spots on my nose and under my eyes, I have dark circles and my forehead is a tad bit darker than my entire face. These are the only skin issues that I face and I bought the Kiehl’s Clearly Corrective Dark Spot Solution primarily just to even out my skin tone and to fade away my sun spots and freckles. 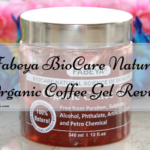 There were tons of reviews on the internet about how the usage of this solution had made their skin glow and made it young and youthful so I wanted the product to do the same for me too. But I must say I am really disappointed with this product. For a product that costed Rs.4500 I expected it to do a lot more to my skin than what it actually did. 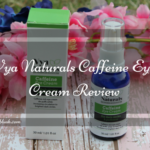 As I had told you in my previous review that after using it for one and a half months it did lighten my freckles/sun spots and I also noticed that my dark circles also faded a little bit but apart from that I didn’t see any improvement in my skin whatsoever. 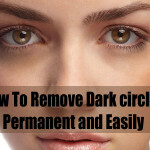 As for my dark circles they did lighten a bit in the first one month and I was very happy with that but after using this for 5 months also there is no improvement in the dark circles also. They are the same as they were before I started using it. I did a notice a glow on my face in the first month but that also didn’t last long. Now that I have finished using the entire bottle I do not see any glow on my face. The Kiehl’s Clearly Corrective Dark Spot Solution lasted me for around 5 months and I was pretty sure that by the time I finish the entire bottle it will completely erase my freckles and sun spots and will definitely lighten my dark circles too but to my dismay it didn’t meet my expectations at all. Means the results that it showed in the first one and a half month were all that the product did for me. It didn’t fade off the marks completely, it didn’t bring any glow to my face, it didn’t even out my complexion at all. I religiously used it every morning and at night but I could not see any improvements whatsoever. I think that if I would have used any home remedy/face mask for full 5 months every day and night then I would have seen better results. 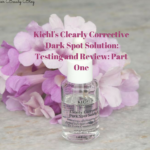 For me the Kiehl’s Clearly Corrective Dark Spot Solution was a huge disappointment. When you spend around Rs.5000 on a 30ml product you definitely expect it to cure some of your skin issues completely but this one failed on all fronts. 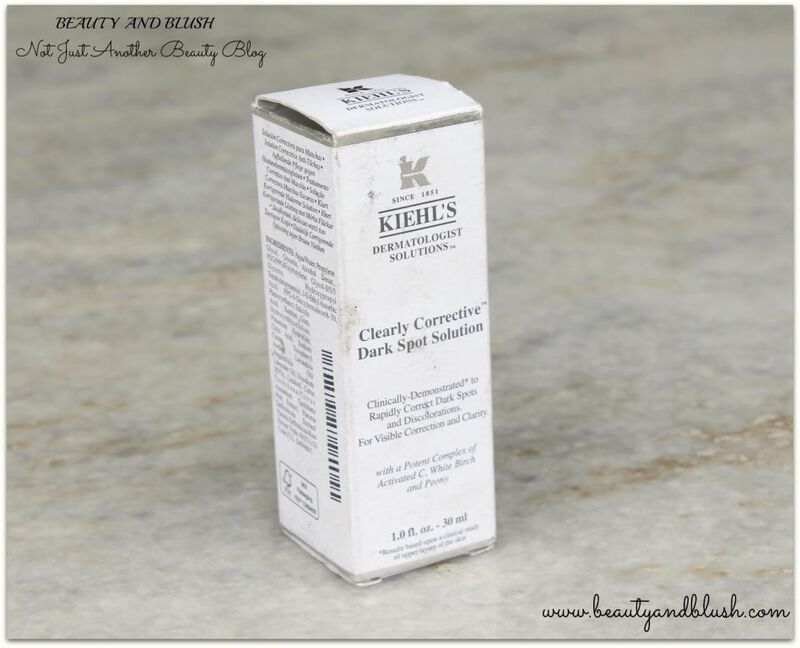 I had bought the Kiehl’s Clearly Corrective Dark Spot Solution after reading almost each and every review on the internet and surprisingly everyone had liked the product and it had solved a lot of their skin related problems but for me this product only worked for me for the first one month and only lightened my freckles, apart from that it didn’t work me… I guess I am the only one around for whom this product didn’t work. I had expected amazing results but I am must say that I am highly disappointed with my purchase. 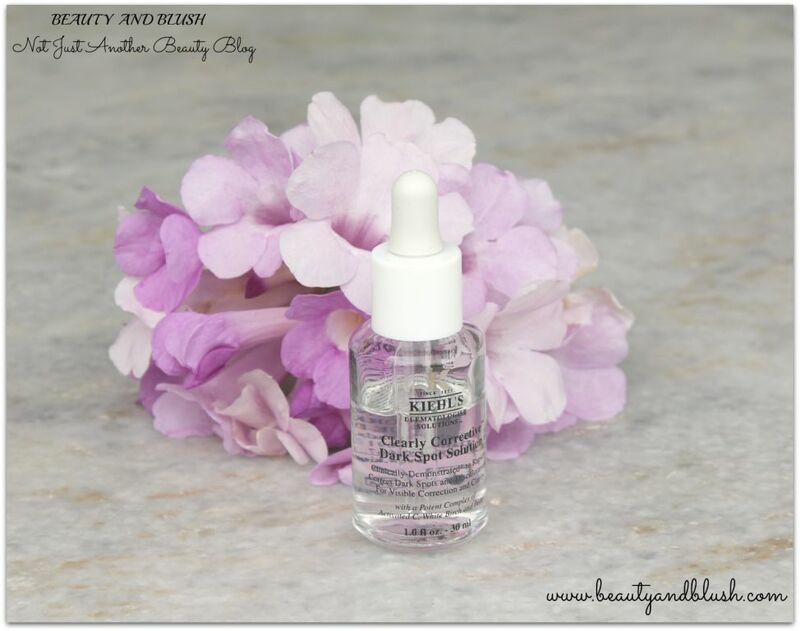 I would suggest all of you to invest your money wisely and if you are planning to buy the Kiehl’s Clearly Corrective Dark Spot Solution do read all the reviews on different beauty blogs and make a wise decision. Personally I didn’t like it at all and I would not suggest anyone to buy it. Now I repent spending so much money on a single product. I think I should have bought the Kiehl’s Midnight Recovery Concentrate instead. I’ve heard that Estee Lauder Enlighten Dark Spot Correcting Night Serum is also very effective product, so may be this time I will buy this one. Keeping my fingers crossed that hopefully this one works for me. Anyhow, sometimes you do buy certain products that do not work for you and the Kiehl’s Clearly Corrective Dark Spot Solution was one such product for me. If anyone of you has used it and have had great results with it please to comment in the comment section and let me know your experiences. In part 1 you loved it and gave it a 4/5, but now it’s a big disappointment. In the maybe wait a while before giving a full review. Also you said it’s expensive but I think all the branded dark spot removers are around a similar or more expensive than this. Hi James. The part 1 of the review was a mini review that I gave after using it for 1 month, that was sort of a testing period. I gave 4/5 at that time because it had lightened my marks and dark circles initially and I thought after using it for 4 months it would definitely erase them completely but it did not erase my marks so it was a disappointment for me. I don’t think that shipping may have caused it to loose its effectiveness… You can ask the store to give you a sample size pack for trying it out before you spend so much on it. I too invested in Estee Lauder night repair but it broke my skin horribly. It’s so heart breaking that such costly products don’t work. I am thankful to you that you published honest review since I was planning to buy this to lighten my acne spots. Hi Yamini. Just commenting here because your skin issues are quite similar to mine. For my tanned forehead, I made it a point to use lemon base homemade packs (Vitamin C) only on the forehead. And once my forehead was of the same skin tone as my cheeks, I made friends with a cap (pick one from h&m or f21,looks stylish as well). It helps with forehead tanning. As for sun spots/liver spots and freckles, I have them on the bridge of my nose and on the top of my cheekbones, very light but persistent little things. I have still not found a permanent way to get rid of them but I have found a cost effective way which keep them at bay. I found this off pinterest and surprisingly it worked. Just add 2 drops of pure frankincense essential oil to half a spoon of coconut oil,mix it well and use it as a serum daily before bed. Give this at least a month. I use the Parachute coconut oil and the Soulflower Frankincense Oil (Rs.450/- for 15ml *lasts forever). As long as I use it, my spot lighten and dissapear. However, if I stop using it and continue to expose my face to sun, they reappear. 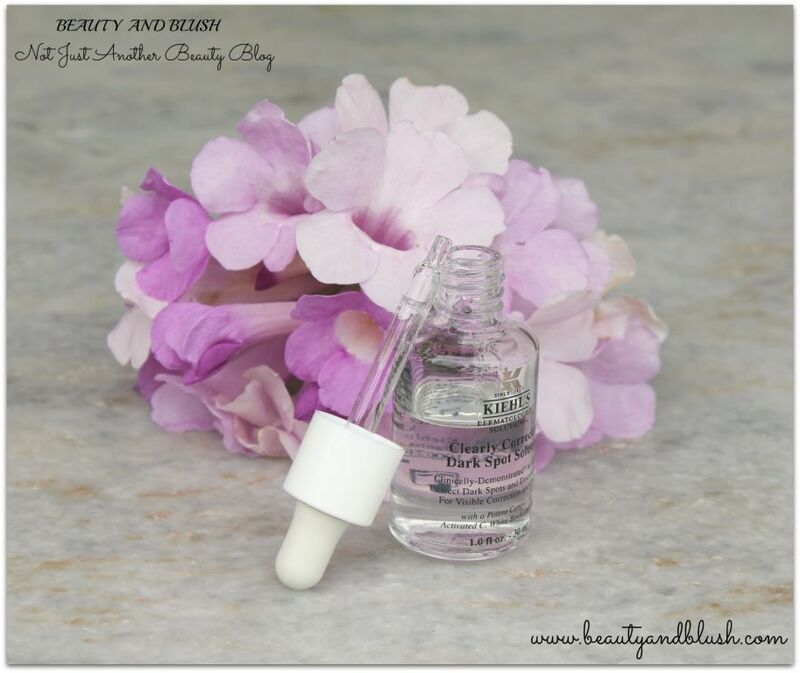 Do try this out (do a patch test). 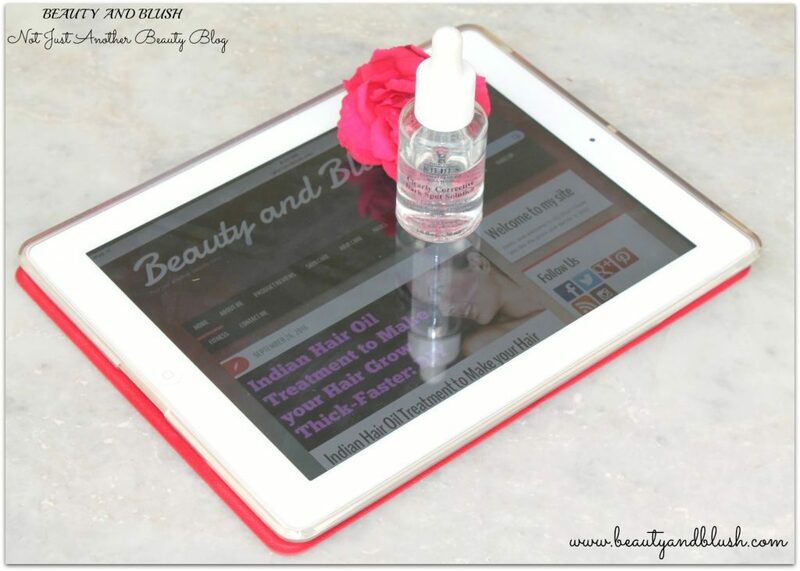 This is a very natural way of getting rid of spot and frankincense oil has other great benefits as well. Thank you so much for your suggestions. I will start using lemon based face masks on my forehead and will definitely try the coconut oil and frankincense essential oil serum. Thanks a ton for your advice.